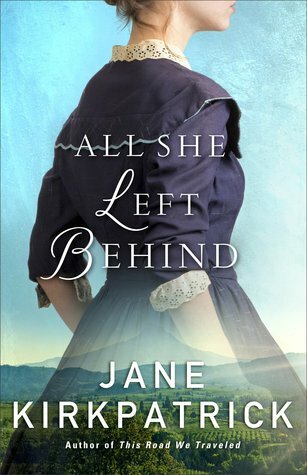 Jane Kirkpatrick is such a talented author. I never know what I am going to get when I pick up one of her books, mainly because most of them are based on a true story. I love that she finds nuggets of history and digs deep to find out the whole story. This book is heavy and a roller coaster of emotions. When I read historical books I am always reminded that people haven't changed that much. This story deals with abuse, drugs, divorce, death, sickness, and a multitude of other life issues. So be aware this isn't a light fluffy read by any means. I will say it was really difficult for me to handle to age difference in Jennie's relationship. If this hadn't been a true story it would have bothered me more. I did enjoy this book and how Jennie is so interested in herbal medicine. I don't think this is a book I could re-read but still an intriguing story. "I received this book from Revell for free in exchange for an honest review. All opinions are my own."